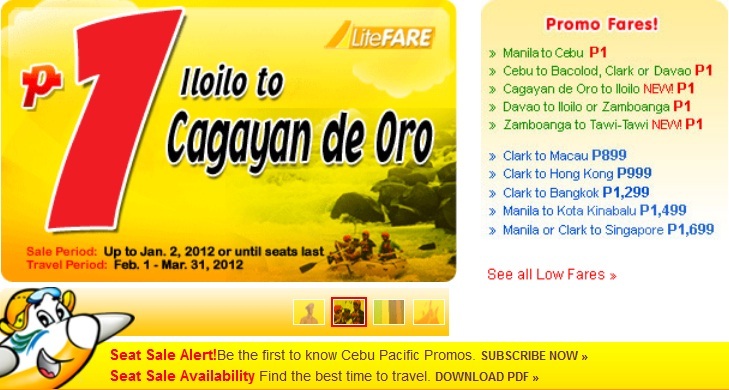 Home Cebu Pacific Promo Piso Fare 2012! And it's back! Piso Fare for the year 2012! Promo starts today and ends tomorrow or until all seats are taken! If you are smart enough to go LITE and remove all other expenses like the Seats Selection then you will only pay Php887 for a round trip!